You can read my musical bio here. Since an early age I have been fascinated by the sounds a guitar can make. I started playing guitar at age 12 after talking my parents into getting me a guitar for my birthday. I started taking lessons from a woman across the street from my house who mainly taught piano. She quickly sent me on to a jazz guitarist name Robert Richter in Ann Arbor Michigan. Although Robert Richter was a jazz guitarist, he taught and could play any style of music. He was an amazing teacher and it was during those early teen years that I was introduced to jazz guitar. I soon developed a split musical personality loving both the rock music of the day (it was the 1970s after all) and also jazz guitar. I began playing guitar in church as a teenager and was mainly a church musician for over 30 years, playing for youth groups, adults, camps, singles groups and other events. Being a church musician is great musical training and I often played for hundreds or thousands of people on Sunday mornings. I also played in bands and did recording outside of church. I recorded several demo songs with Paul Henning at professional studios in the 1980s, and played in his band. I started a band called Big Truth with my drummer friend Tim Dean, his sister Joy Dean, and Steve Montgomery in the early 1990s. I played in a jazz group called Upstairs Jazz (with Bill King, Mike Gioelli, and Mark Laing) for several years starting around 2007. It was during this time that I did a lot of jazz arranging and writing. It also allowed me to hear how my original jazz songs would sound live with a whole band. It was a great musical and learning experience for me. In 2006 I began teaching guitar full time. It has been a huge challenge but also incredibly rewarding. I have several students who have gone on to play in bands or lead worship at churches. 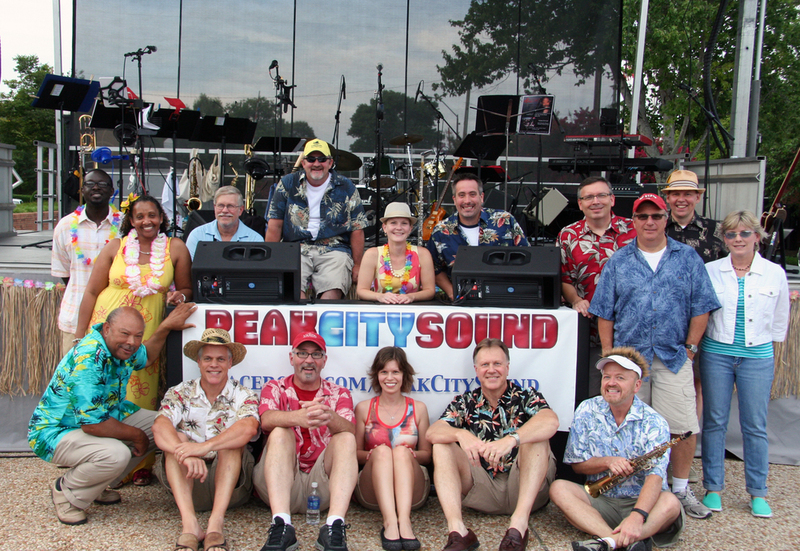 In 2012 I joined Peak City Sound, a cover band playing soul, R&B, pop, and rock hits from the 60s through today. Peak City Sound is a large band with a five piece horn section, and four main singers (other members sing also), plus a great rhythm section. Playing in this band has been a lot of fun. In the summer of 2014 five other members of Peak City Sound and I started a band to play smaller venues. We are called Soul6Pack. We had our first gig in November of 2014. I started my own jazz band in 2017 called Starlin Jazz Collective. We had our first gig in November 2017.